Just about this time last year, Pink had a close-encounter with a peanut butter sandwich on the bus on her way home from school (link). Based on the response I got to a letter I sent to the principal, I wrote a second letter to the superintendent (link). In both I argued that while I understood the district's reasons for not claiming to be peanut free, I also though they should be pushing for a safer environment for all children. 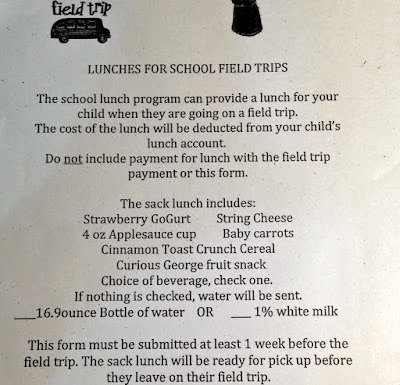 In particular, I argued that the sack lunches the school provided for field trips should NOT include peanut butter sandwiches. Given the fact that kids like Pink had to choose between not going on the trip or living in fear because they were at heightened risk of allergic reaction given the sheer number of kids eating peanut butter together, I figured that my request was not an unreasonable one. Following my message to the superintendent, I found myself in a lengthy exchange with her about our hopes and expectations and her very real limitations (apparently it's hard to police 800+ lunches to make sure no one sneaks in a little contraband). 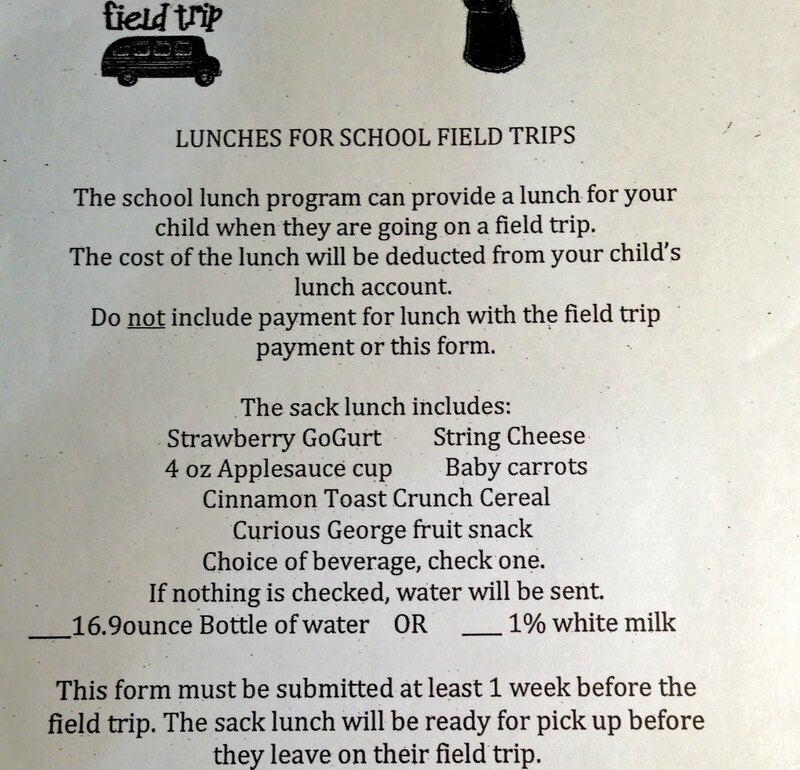 In the end, we agreed that the district would revisit their field trip sack lunch policy. The superintendent asked me for suggestions for peanut butter alternatives (to which I gave her a list about a mile long), and I didn't hear anything about it again. "The sack lunch includes: strawberry GoGurt, string cheese, 4 oz. applesauce cup, baby carrots, Cinnamon Toast Crunch cereal, Curious George fruit snack, and choice of beverage..."
Sure, this isn't really a "lunch." And, Pink still can't eat it, but, at least there is no peanut butter. Pink couldn't believe it when she saw the sack lunch menu. "Now I don't have to worry anymore!" she said with such a sense of relief that it that would break your heart. Yesterday, Pink's class visited a 19th-century living museum with her classmates. Despite the overcast weather, she had a great time exploring with her friends. She touched animal furs, tried her hand at being a blacksmith, and had a lesson in a one-room school house. Pink and her friends at the print shop. 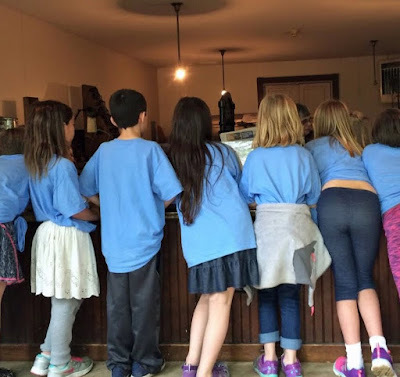 The best part of all, though, is that on this field trip, she didn't have to worry about what everyone else was eating for lunch. Sometimes change can take a long time, and it isn't always perfect. Still, I'm reminded to never give up!